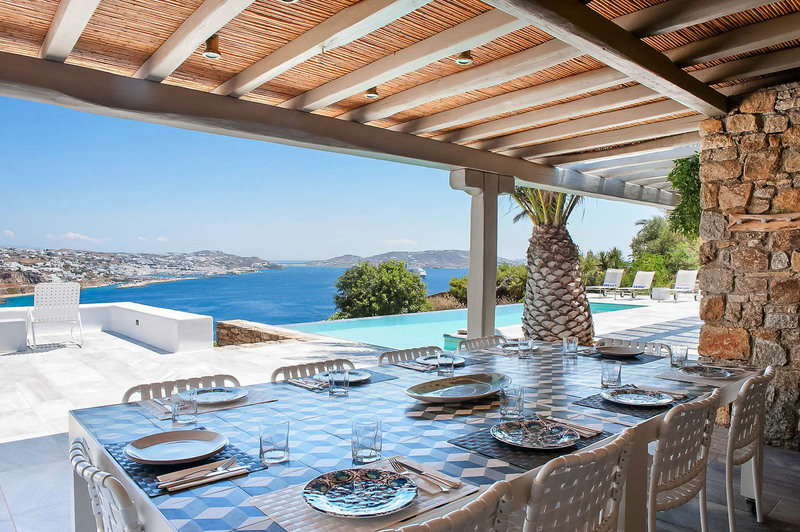 12 Guests, 6 Bedrooms, 6 Bathrooms, Pool, Terrace, Sea Views. 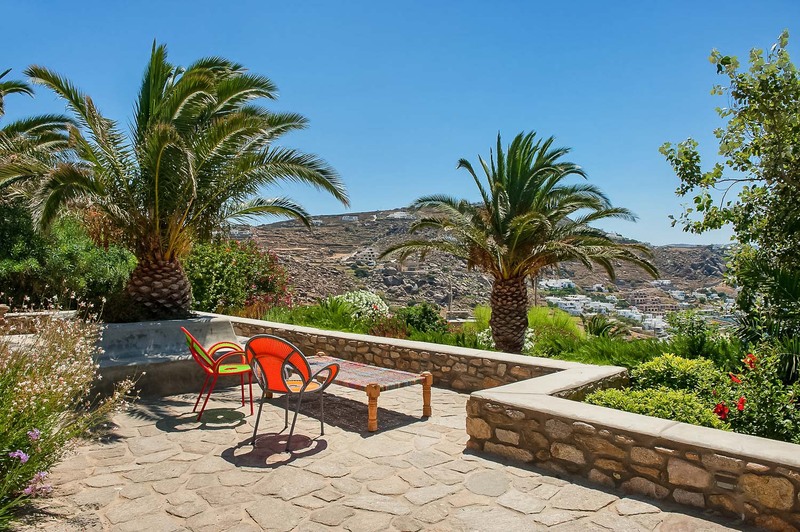 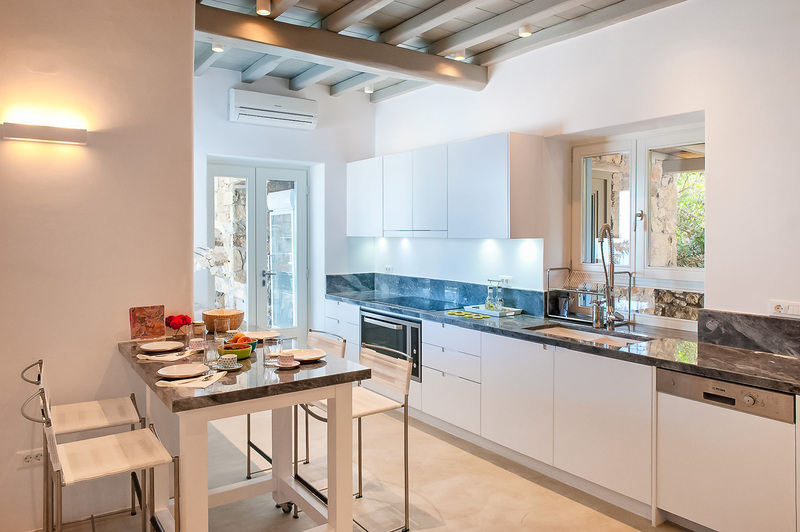 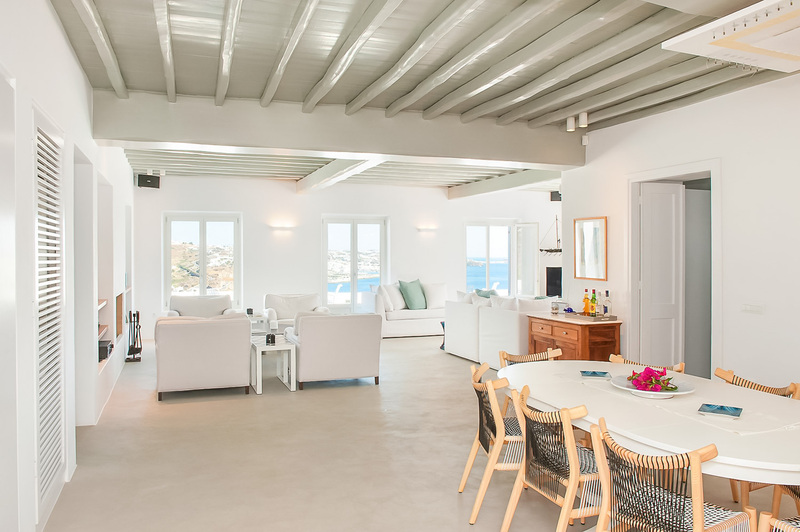 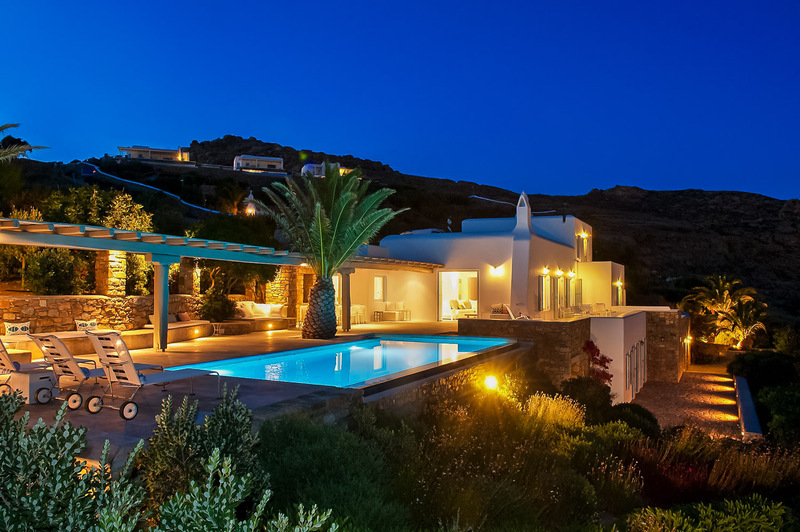 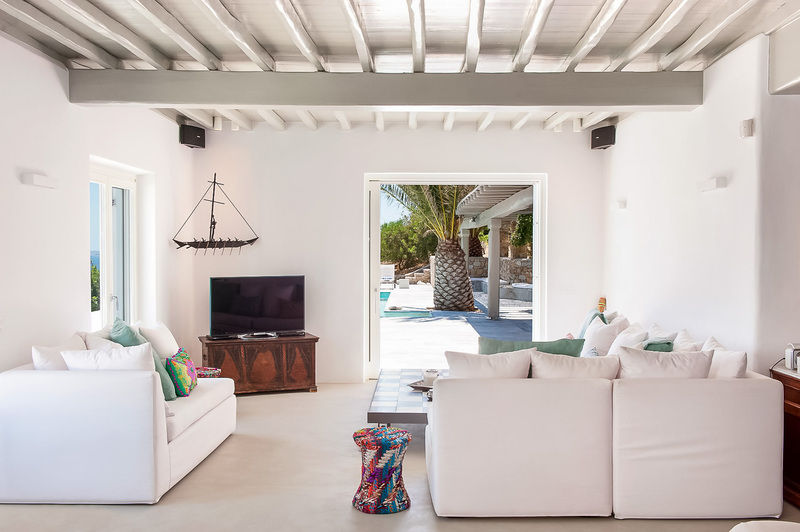 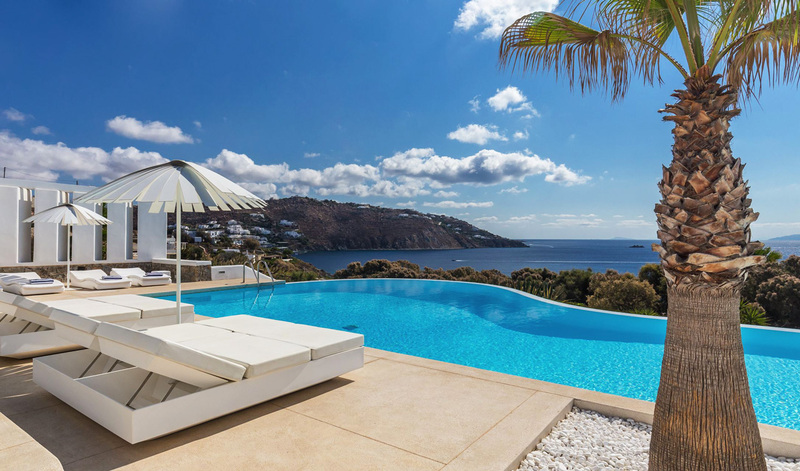 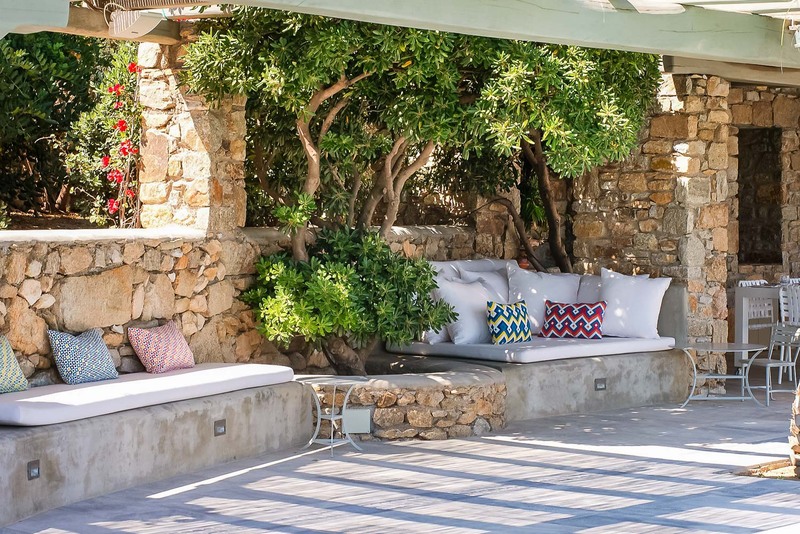 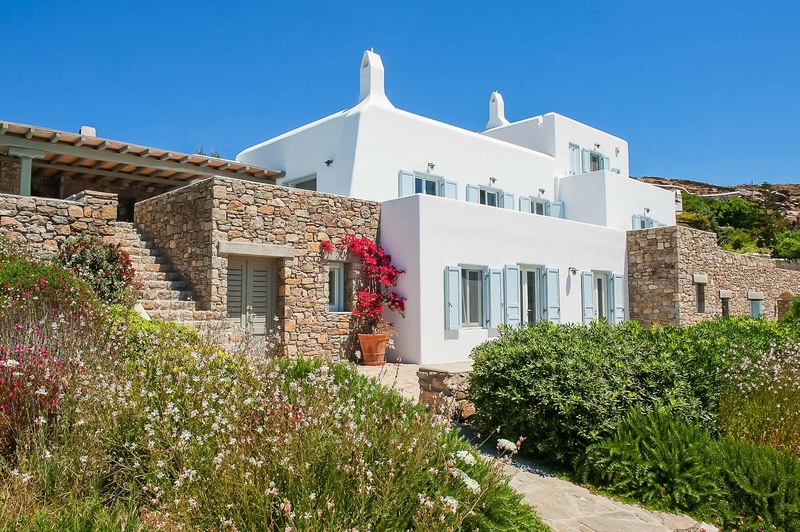 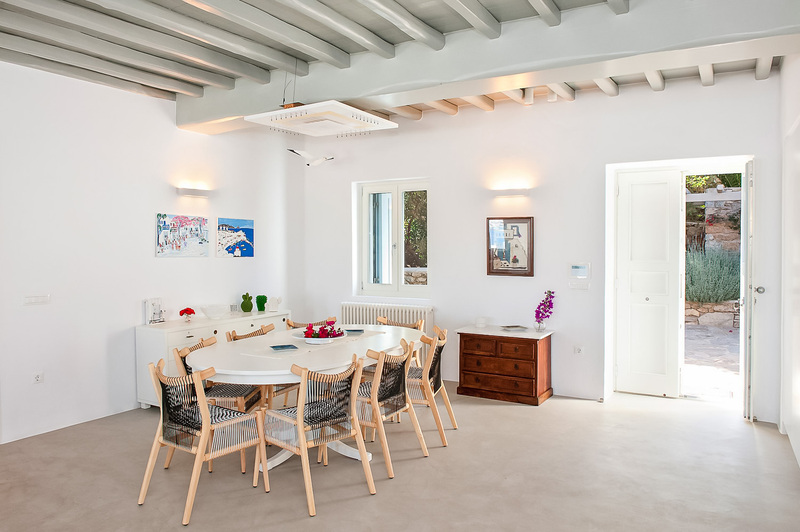 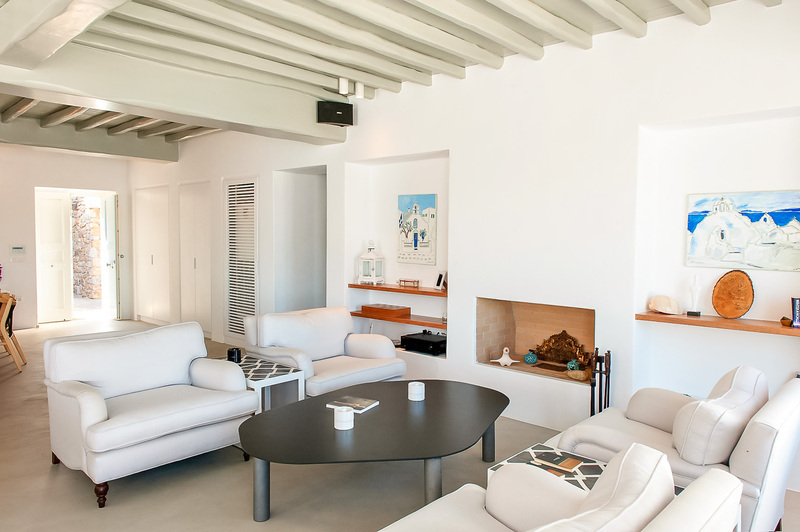 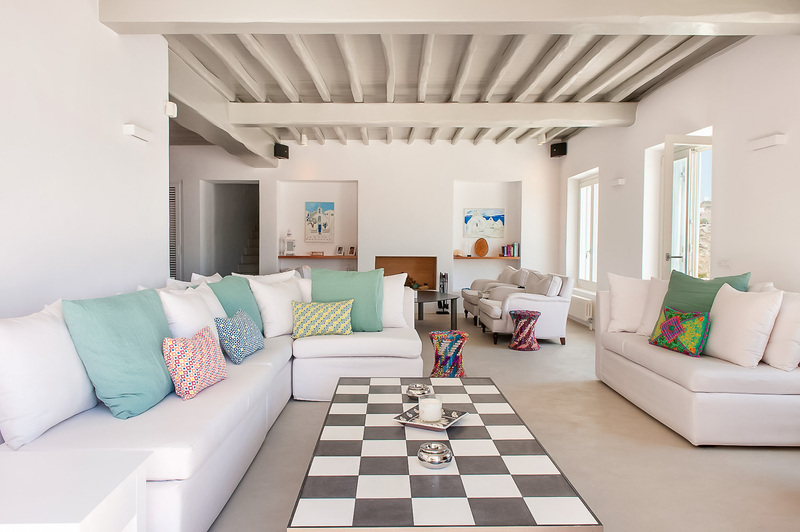 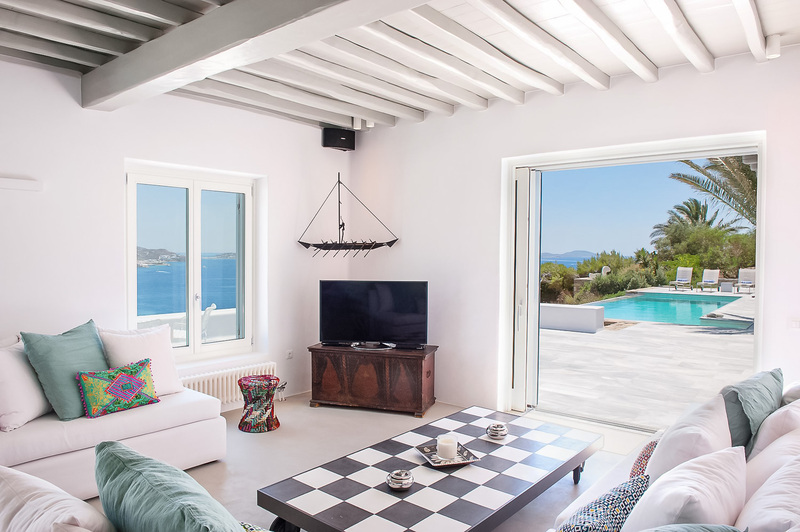 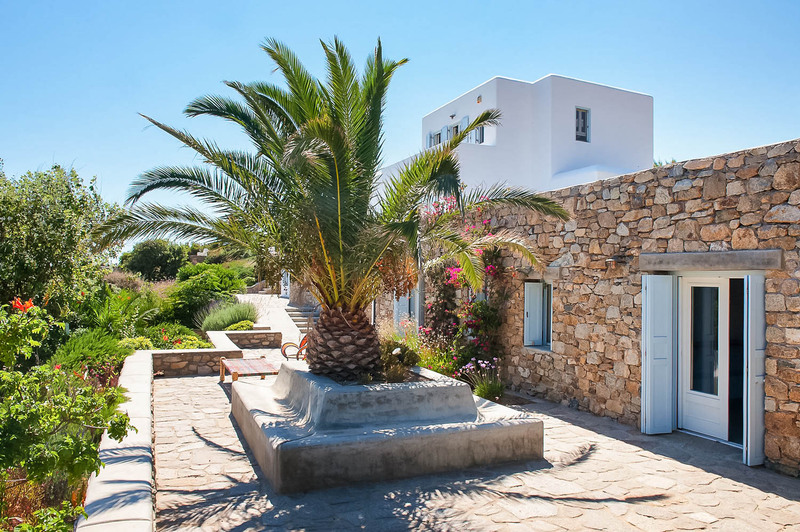 Rent now your villa in Mykonos near Agios Stefanos Beach, welcoming up to 12 guests with it's 6 bedrooms, 6 bathrooms, 3 levels, pool, terrace, outdoor dining and amazing sea views for your summer vacations in the Greek Islands with Casol! 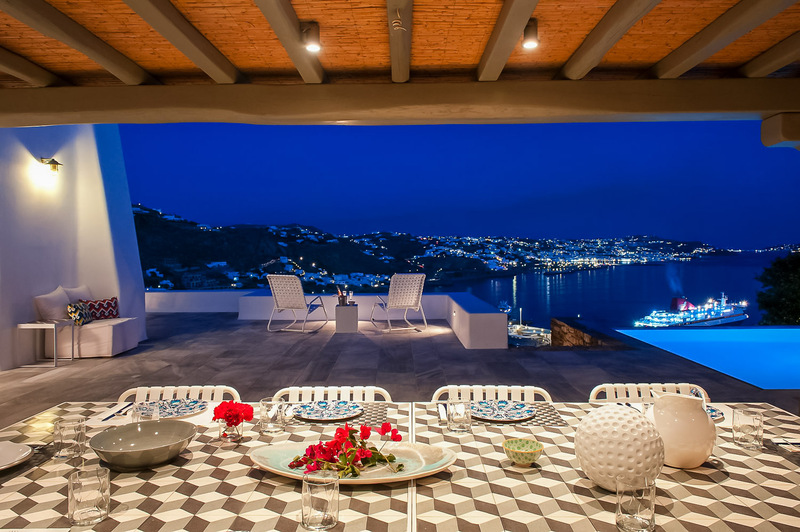 Views are important for you? 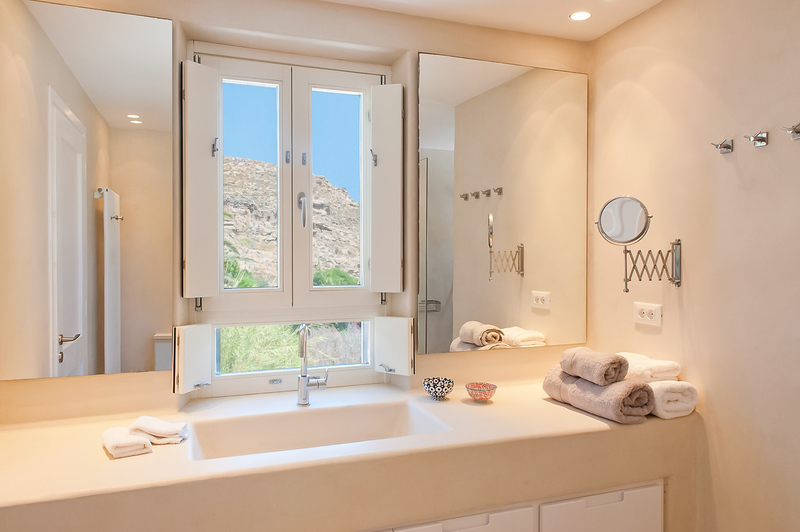 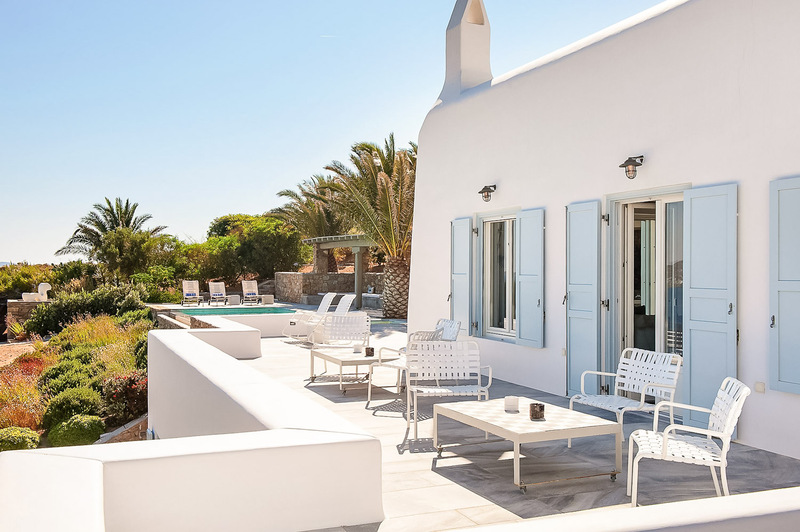 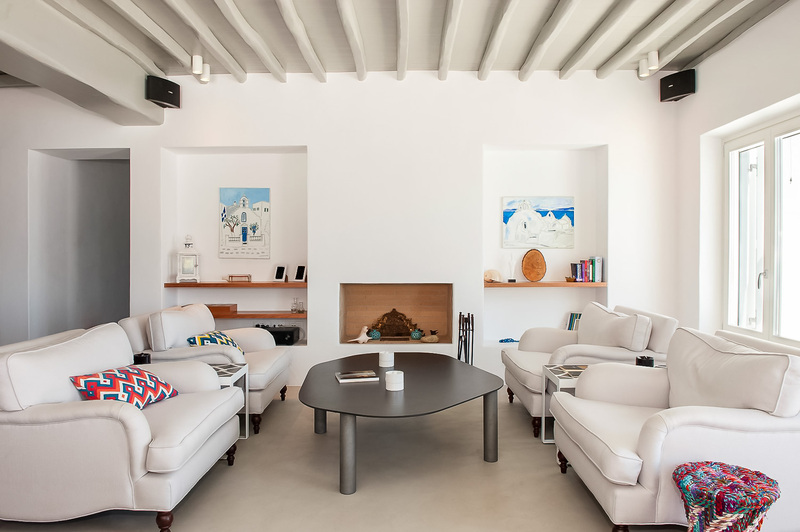 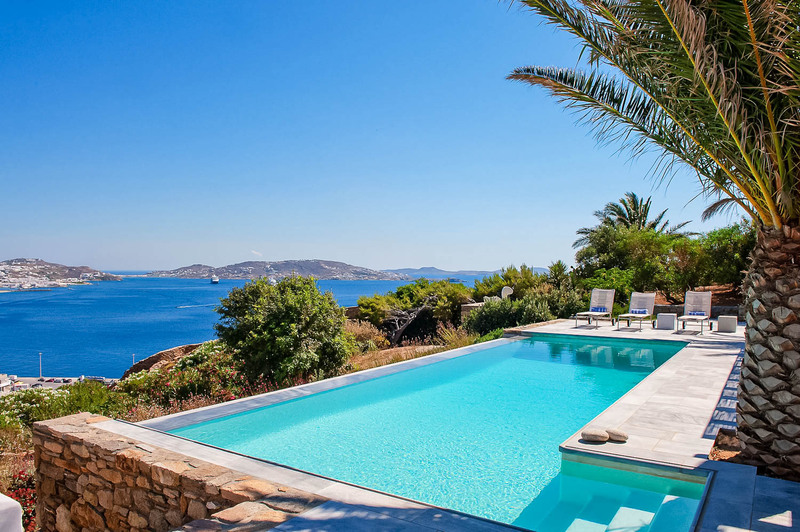 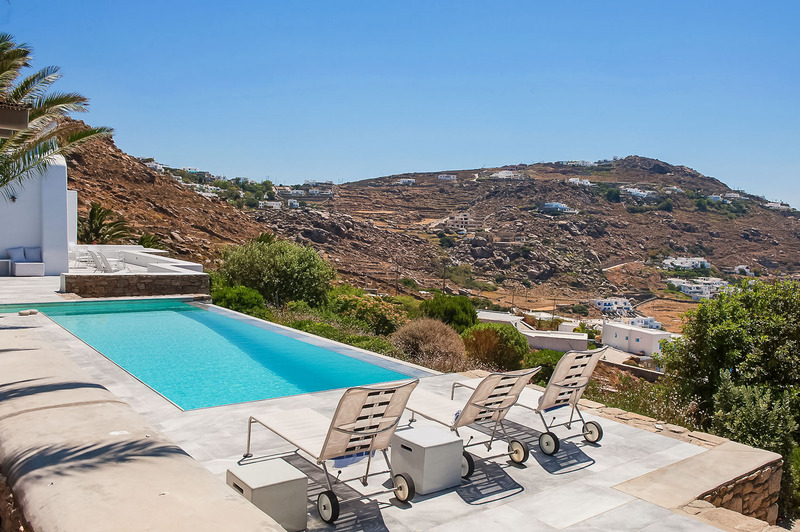 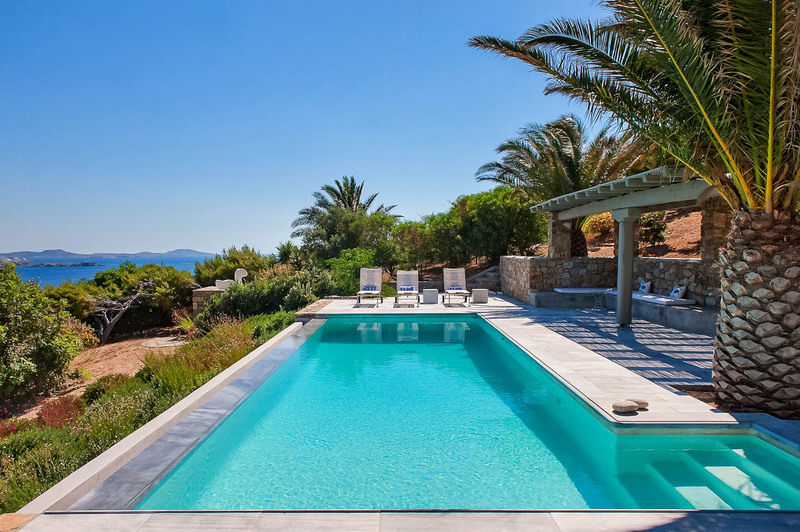 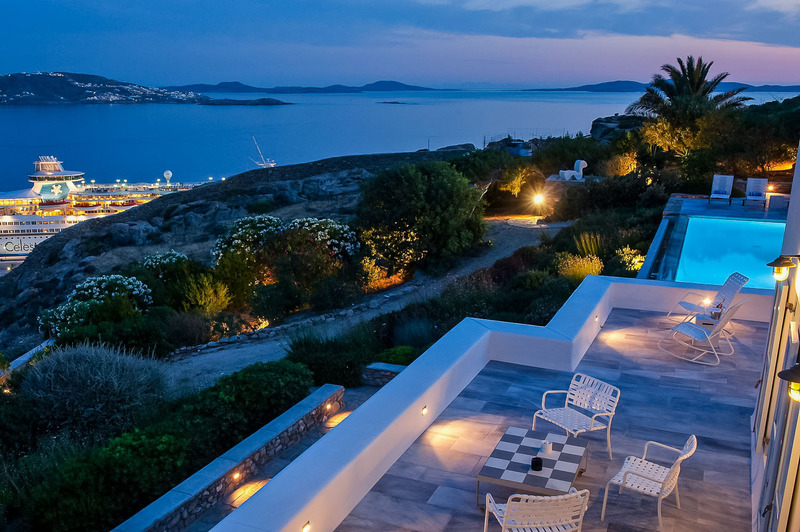 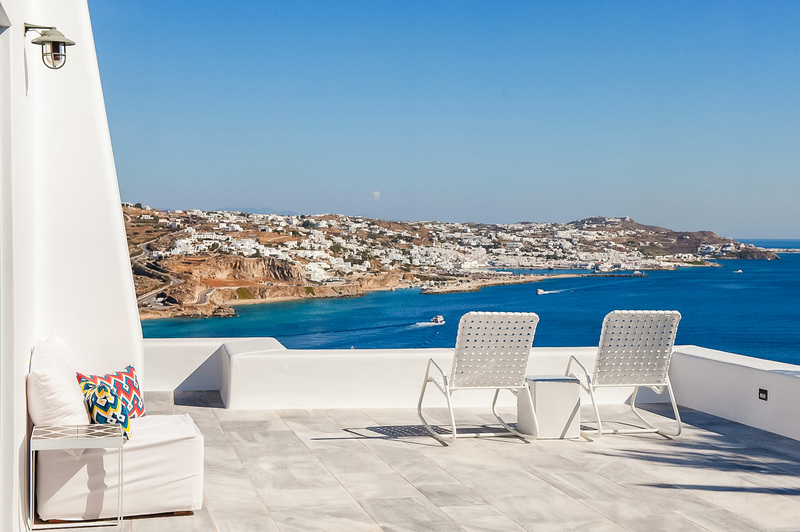 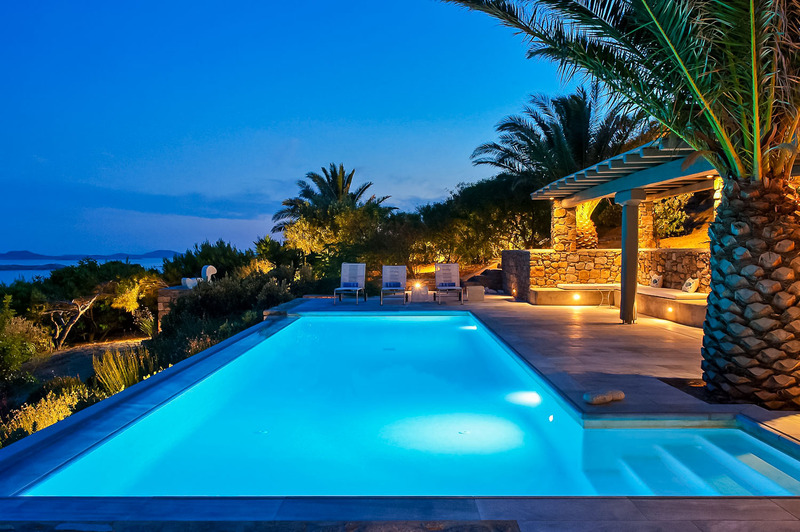 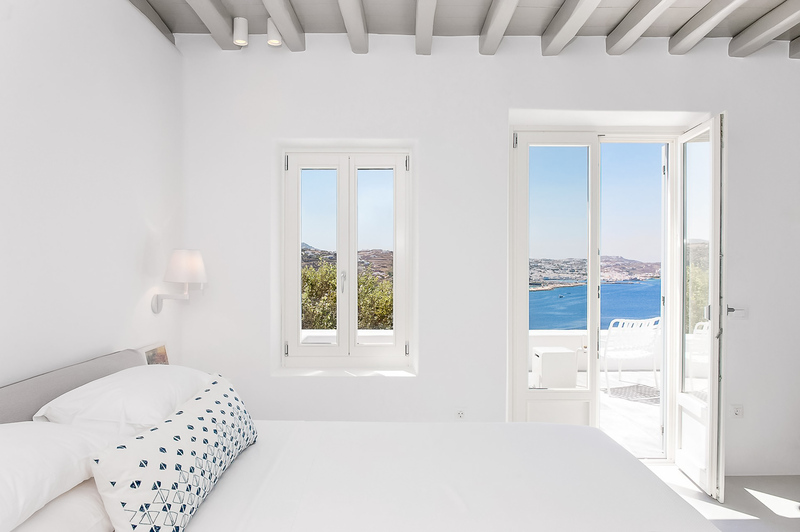 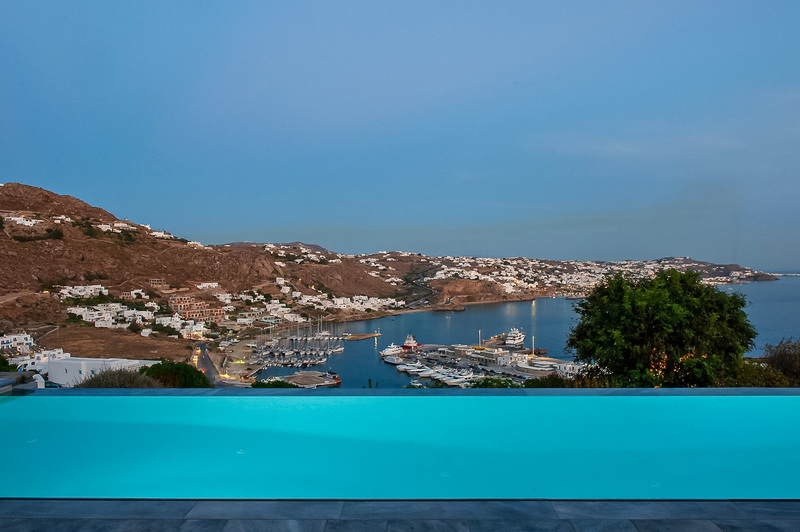 Marvel at the blue waters of the Aegean during the day, the colourful sunsets over Rhenia and Delos at dusk and the town lit up at night from your sophisticated and chic private property in Mykonos, The G House. 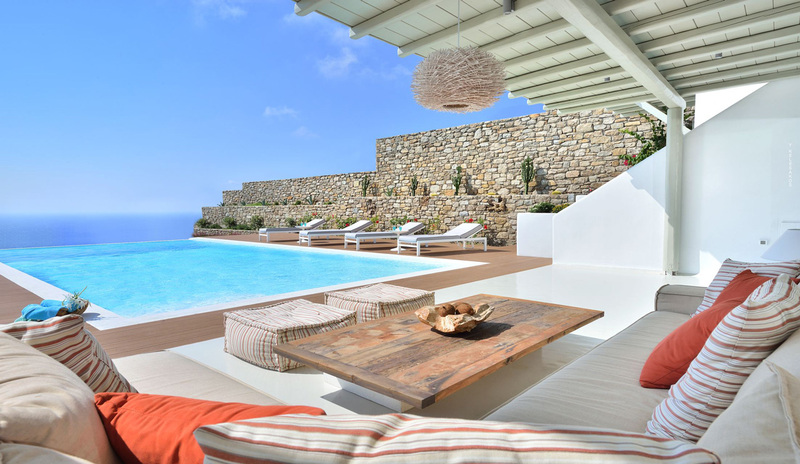 Outdoor living fan? 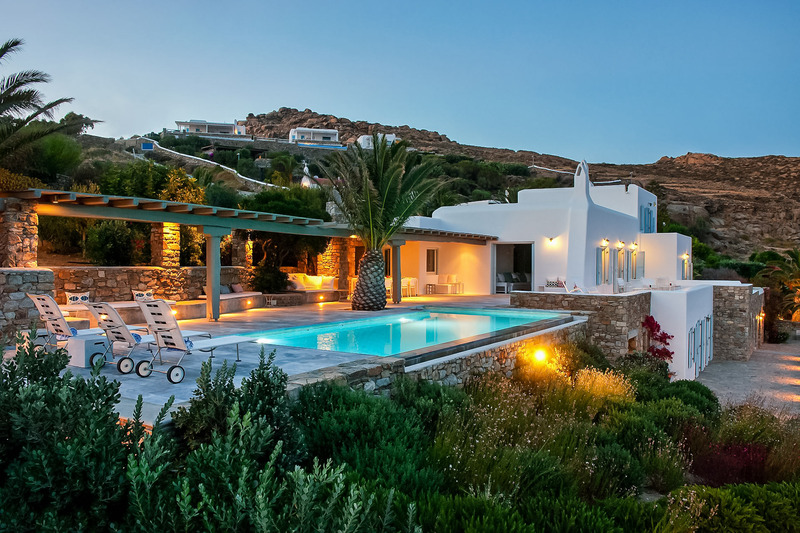 Enjoy the lush gardens that surround your villa. 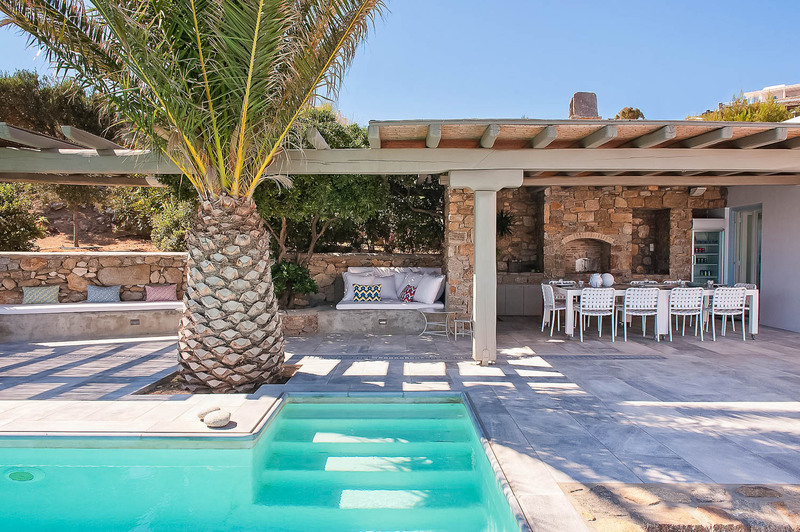 Swim in your private infinity pool, and then relax under the pergola equipped with grilling facilities, cleverly connected to the indoor kitchen to enjoy nice al-fresco meals as effortless as possible! 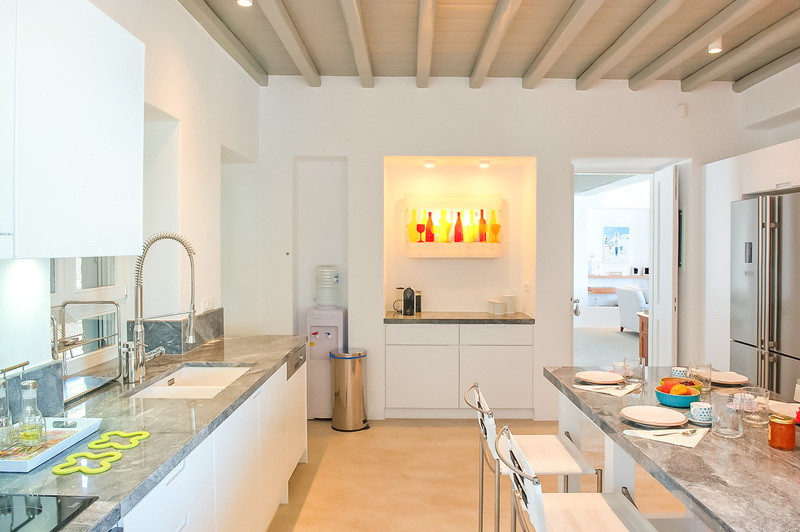 Love fresh design and architecture? 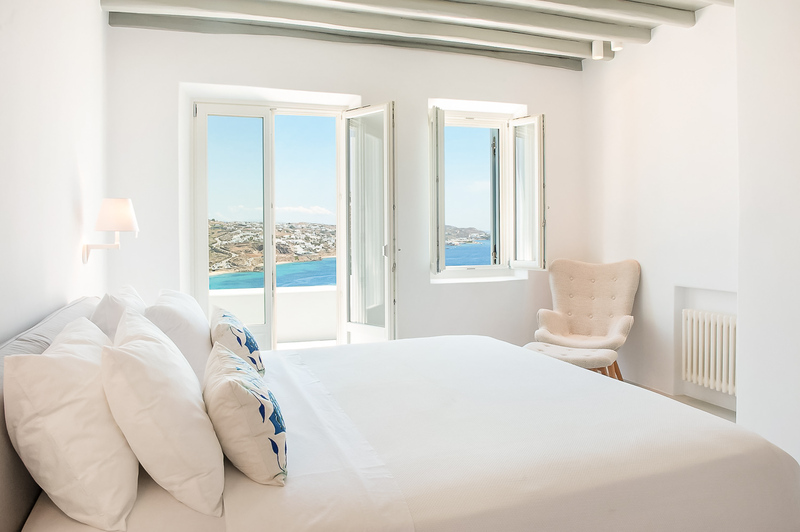 Create new memories at your G House, in perfect combination of Cycladic architecture and contemporary design, where most of your bedrooms are independent from one another for privacy, while a grand use of tones of white and grey are featured throughout, enriched by modern furnishing tastefully placed in both the common space and the bedrooms. 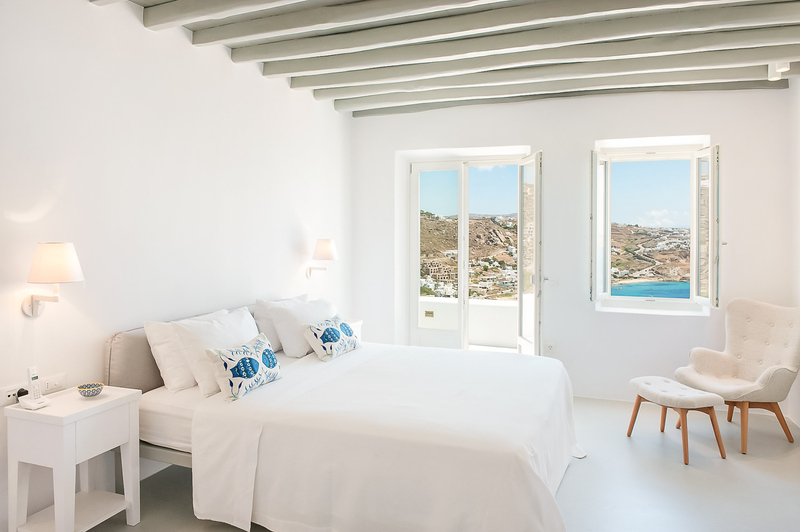 Explore Mykonos with a jogging in the morning, drive to Nammos on Psarrou Beach for an afternoon of fun, Shop at Louis Vuitton in town, charter your yacht for a day or a week to discover the nearby islands, or dance under the stars at Scorpios! 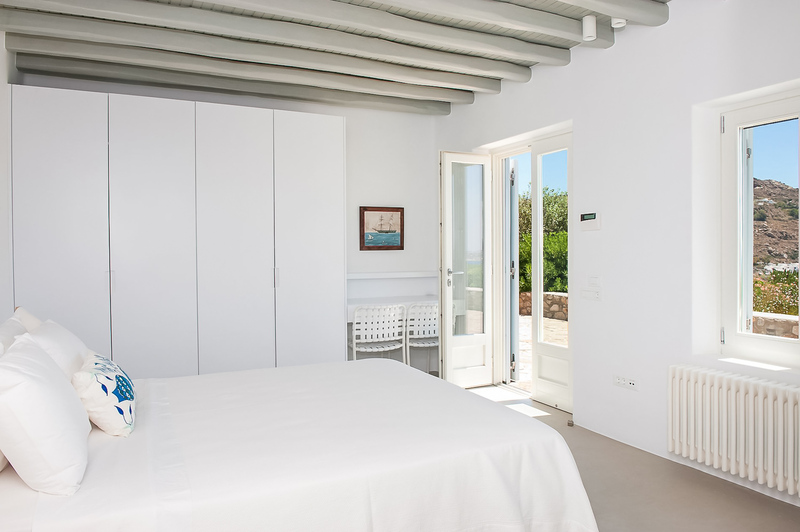 Upper Level - Master Bedroom with double bed, A/C, en-suite bathroom with shower, direct access to private balcony with sea view. 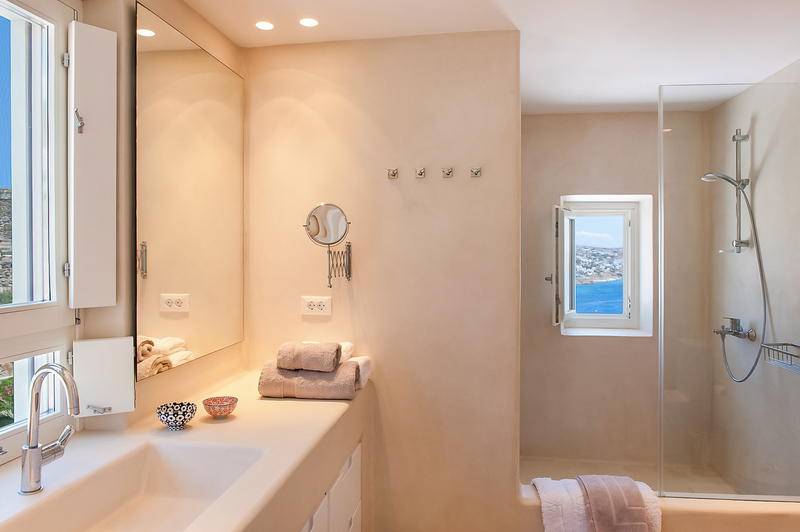 Entrance Level - Master Bedroom with double bed, A/C, en-suite bathroom with shower, direct access to private balcony with sea view. 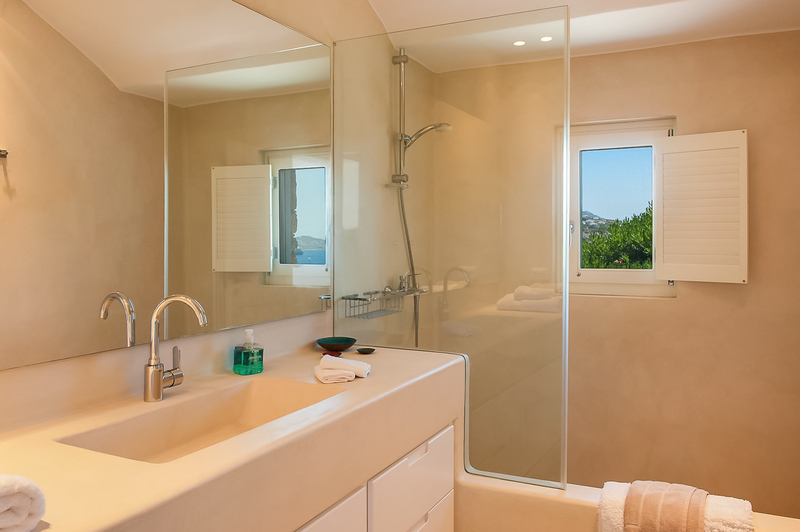 Lower Level - Double bed, A/C, en-suite bathroom with shower, independent access from outside. 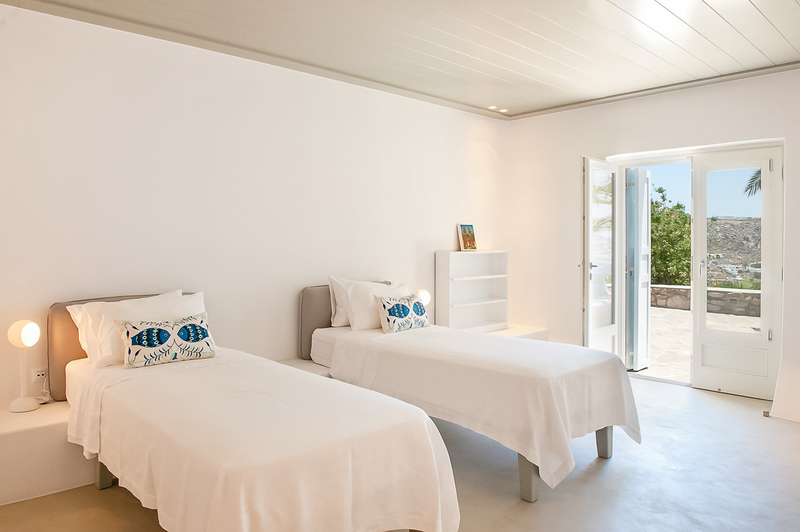 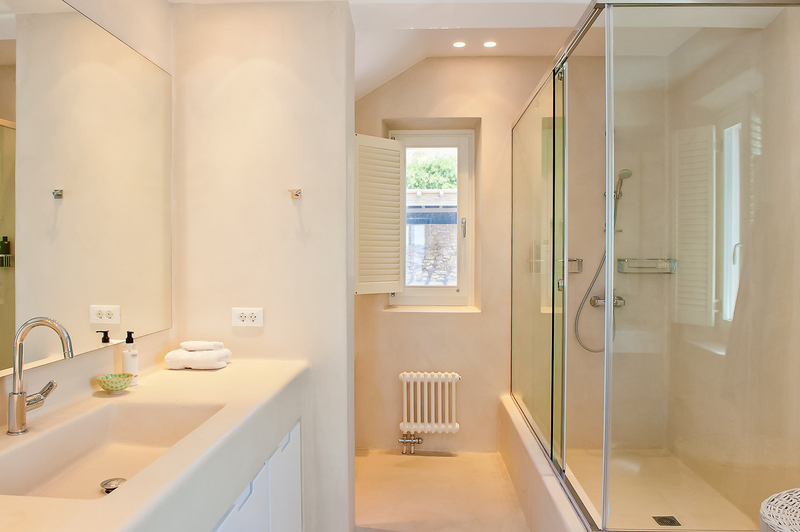 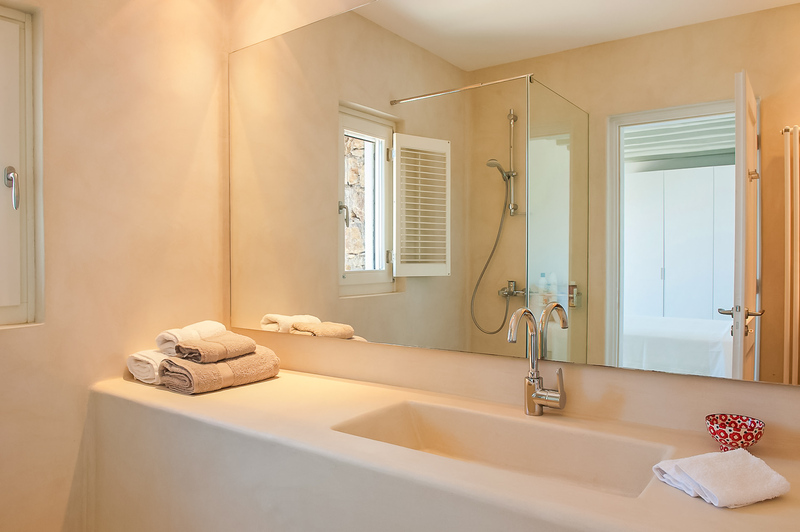 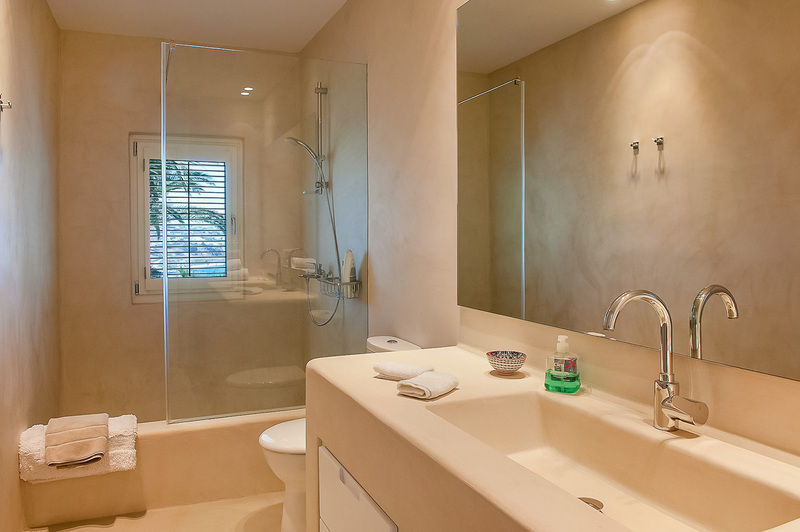 Lower Level - Twin beds, A/C, en-suite bathroom with shower, independent access from outside. 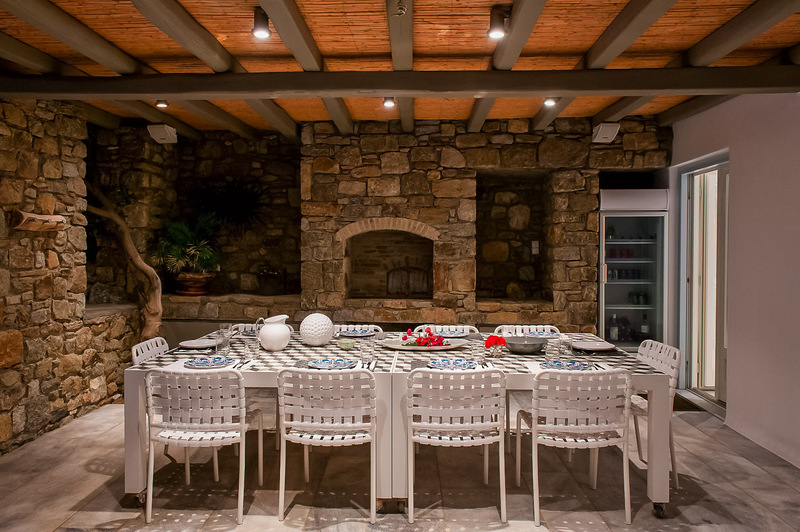 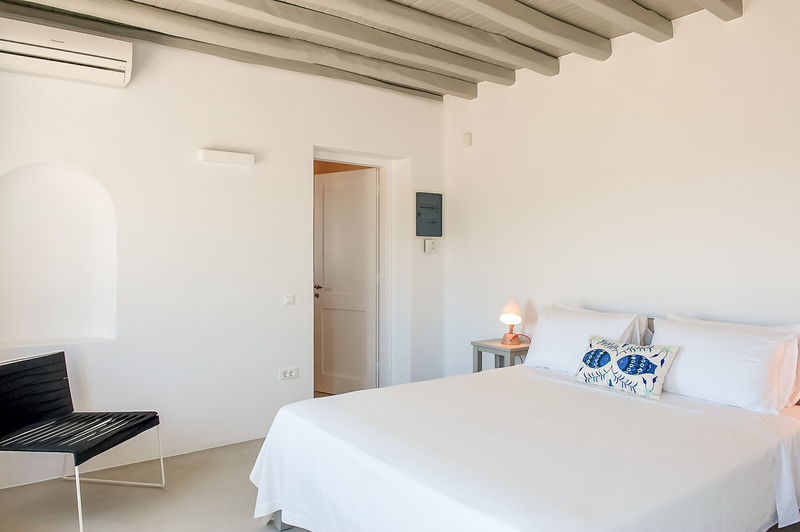 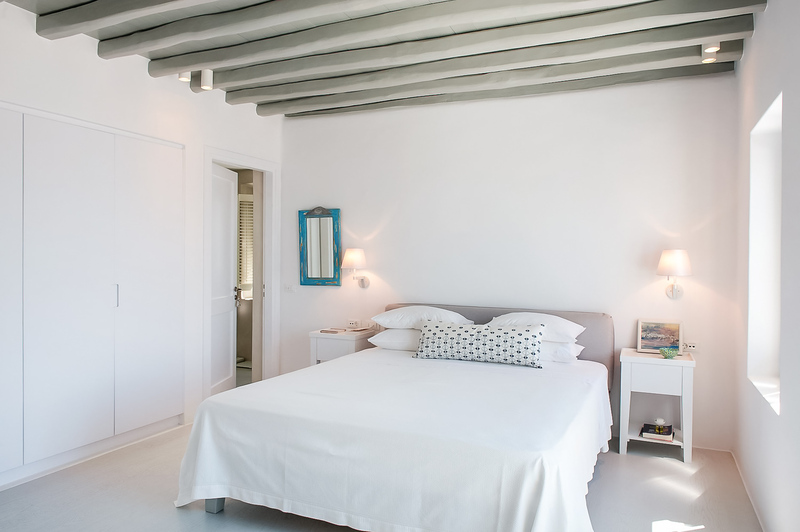 Maximum 12 guests, children welcome, 14 days rental minimum during high season (July and August). 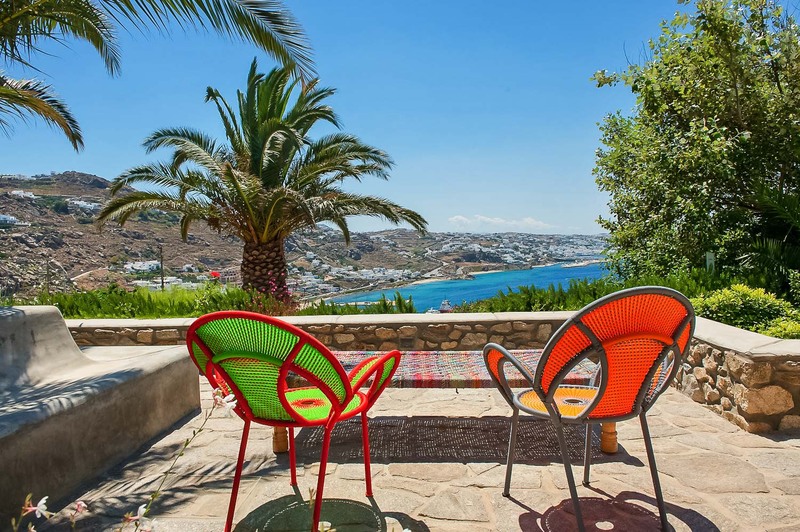 Stay at your villa The G House, near Agios Stefanos beach! 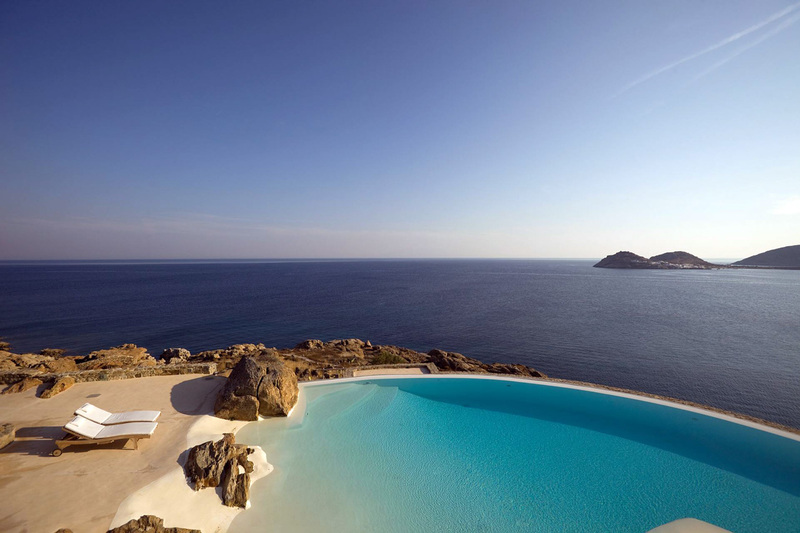 Mademoiselle is going to Greece? 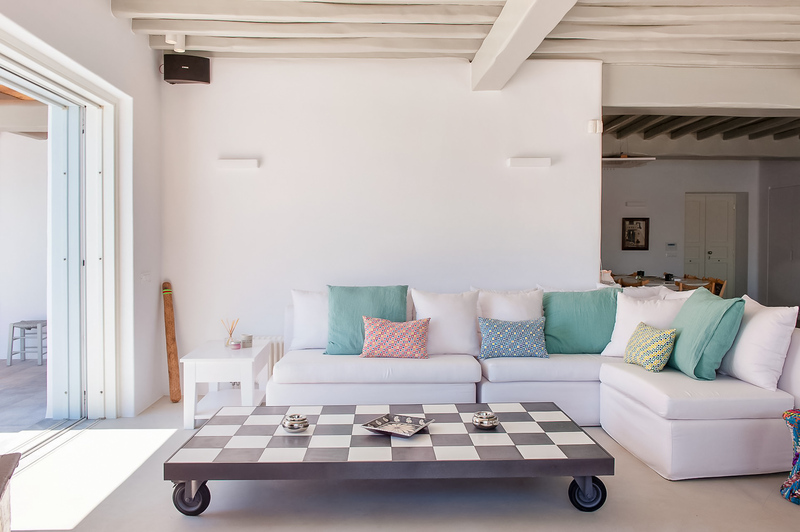 Offer yourself a Carré Casol, perfect to be warm on the plane, as a pirate beach bandana or for your chic soirées in town!